Michigan’s roads and infrastructure are ranked near the bottom in the U.S. compared with other states. Bridge asked the candidates for governor how they would attack the issue, and how they would pay for it. Republicans, Democrats and Libertarians vying to be Michigan’s next governor are offering more details about their plans for fixing the state’s crumbling roads as the Aug. 7 primary election approaches. 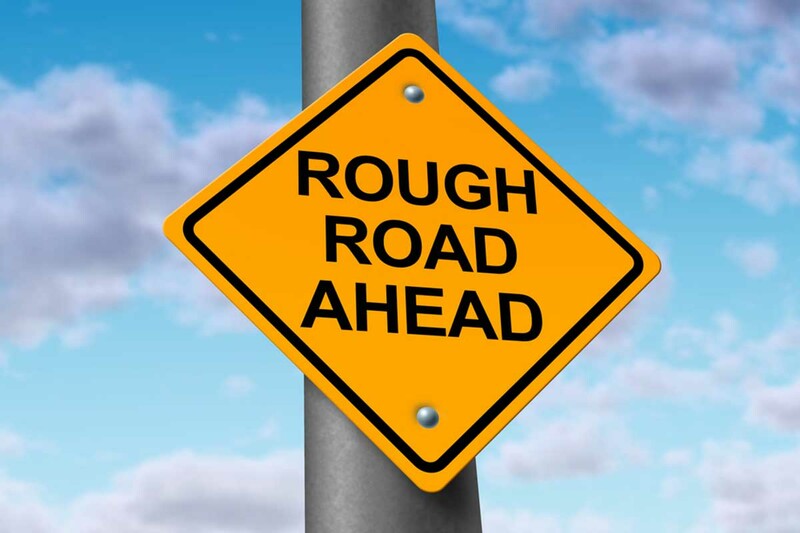 Candidates’ plans vary, from accelerating the phase-in of a $1.2 billion road-funding plan signed into law in 2015, to seeking higher-quality road materials with no new taxes, to creating statewide infrastructure banks. Of the seven candidates for governor, not a single one proposed a plan that would raise the additional $2.6 billion that the governor’s 21st Century Infrastructure Commission says Michigan needs to budget each year to maintain its roads and bridges (and far less than the $3 billion to $4 billion annually the commission says is needed to maintain all of Michigan’s infrastructure needs). Bridge reviewed proposals by the four Republicans, three Democrats and two Libertarians running to succeed Gov. Rick Snyder. We scoured their policy guides, public remarks and interviews for their positions, which are presented below. We also interviewed the candidates and their campaigns, as needed, to clarify details or provide additional information. Democrats Abdul El-Sayed and Gretchen Whitmer have released specific policy proposals related to infrastructure. Republican Brian Calley included a section devoted to roads in a newly released book. Other candidates have released some details on their campaign websites, in op-eds or in press interviews. Calley, Snyder’s lieutenant governor, would speed up a 2015 road-funding legislative package to fully phase in $1.2 billion in new annual investment in his first budget proposal in 2019, rather than by 2021 as scheduled, using surplus general fund money. Would continue to pay down more than $1 billion in transportation debt incurred during past administrations, which he said would free up more than $200 million a year in gasoline tax revenue to go toward road repairs, rather than to retire old bonds. His campaign said retiring debt would be paid through “disciplined budgeting combined with economic growth,” but did not elaborate. Would coordinate road fixes with replacing underground infrastructure to avoid tearing up the same road twice. Seek private partnerships to defray public costs. Explore new road designs — like the flex lane on U.S. 23 north of Ann Arbor that alerts drivers by electronic message when an extra lane is available at peak hours. 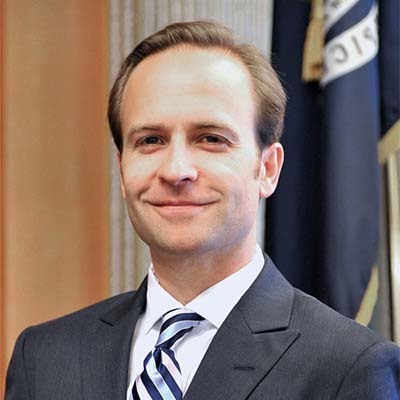 Read Brian Calley's plan to fund Michigan roads here. Sen. Colbeck, of Canton, says he would not raise taxes to fix roads, and favors eliminating the state’s personal income tax. 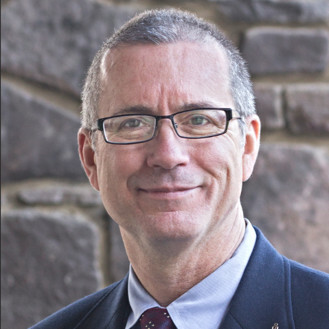 He favors building roads with higher-quality materials that he says would cost 15 percent more up front but last four times longer, citing for instance cement hydration catalyst and sealant by a Bloomfield Hills-based company, Everlast Concrete Technologies. Would prioritize road repair in Michigan’s general fund, reduce operating expenses in the Michigan Department of Transportation and elsewhere in the budget. 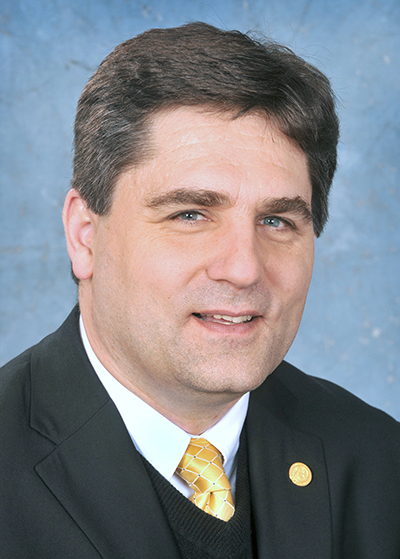 Read Patrick Colbeck's plan to fix Michigan roads here. Hines, a Saginaw physician, said he would not raise taxes to fix Michigan’s roads. Instead, he would divert 0.35 percent of Michigan’s income tax revenue for two years, which he said would raise $875 million per year. That would come on top of the Legislature’s $1.2 billion in additional road funding, which won’t be completely phased in until 2021. After that, Hines would gradually roll back Michigan’s 4.25 percent income tax rate to 3.9 percent and rely on the legislative road-funding plan, as well as one-time money and unspent general fund dollars. Says his plan would raise: An additional $875 million a year for two years for road repairs. Hines’s plan does not address the full $2.6 billion funding gap cited by the infrastructure commission. 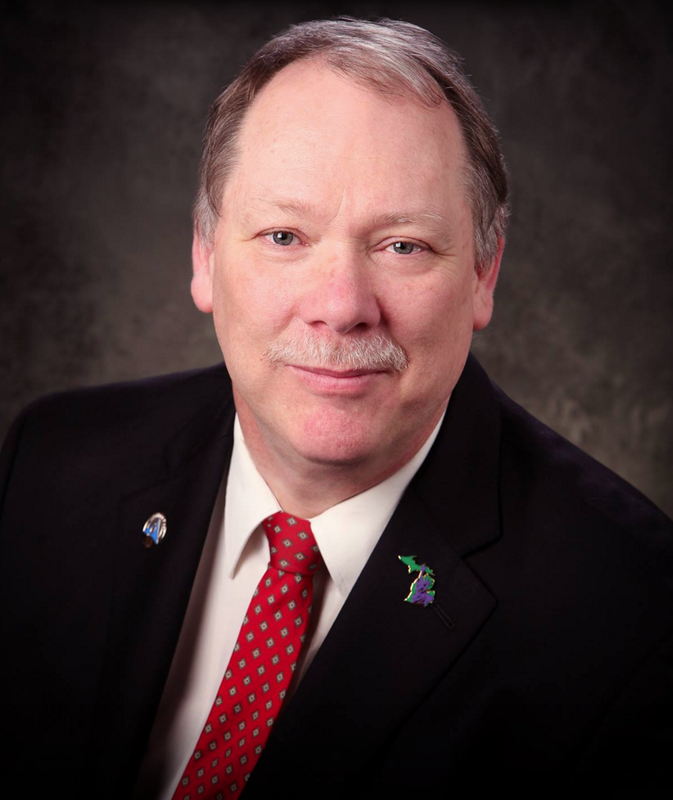 Read Jim Hines' plan to fix Michigan roads here. Stronger warranties on road and bridge projects to make them more enforceable. Making roads a higher priority within the state budget. Says his plan would raise: Undetermined. Schuette did not place a dollar figure on how much his roads plan would generate. He said during a GOP primary debate in June that repealing prevailing wage could free up $250 million; his campaign cited several studies. El-Sayed, a former Detroit health director, would create a Pure Michigan Infrastructure Bank to pay for roads and bridges, drinking water, school building renovations and renewable energy. The state-sponsored bank would attract private investment in Michigan’s public infrastructure systems through loans, matching grants and tax credits — primarily for transportation projects — and use loan proceeds and other taxpayer dollars to pay for the replacement of lead pipes and other infrastructure projects that aren’t as likely to receive private capital. Would include a Transit Infrastructure Bank to fund maintenance of existing roads, construction of new transit projects and replacement of a lock at the Soo Locks. How he would pay for it: Says his plan would raise more than $1 billion annually. Would seed the transit bank with $60 million from a 15 percent excise tax on adult recreational marijuana use, should a ballot proposal pass in November. The pot ballot language, however, imposes a 10 percent excise tax on marijuana, and dedicates 35 percent of tax revenue not spent on administrative functions or on required clinical trials to the Michigan Transportation Fund. El-Sayed’s campaign said it would seek legislative approval to increase the excise tax to 15 percent, which is in line with what Colorado requires, to offset an anticipated drop in marijuana prices as seen in some states that have legalized it. The campaign said it also could seek legislative action to send some of the excise tax revenue to the infrastructure bank. Additional funding would come from the $1.2 billion legislative road-funding package adopted in 2015, which includes $600 million from increased gas taxes and vehicle registration fees and $600 million in dedicated income tax revenue. El-Sayed’s plan says generating that amount will require “$600 million more than we currently raise through the gas tax,” and will come from such sources as higher gasoline and diesel taxes, tolls and increases to registration fees for farm and log trucks. 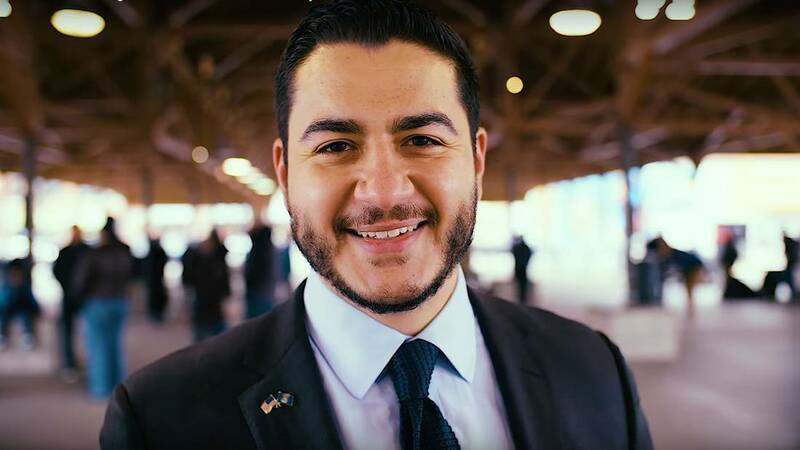 Read Abdul El-Sayed's plan to fix Michigan roads here. Thanedar, a millionaire businessman from Ann Arbor, said he would prioritize roads, bridges and other infrastructure repairs by asking voters to approve a $1 billion, 30-year bond for immediate needs. His campaign said a bond with 3 percent interest would cost households about $1.10 per month in debt service. Longer term, Thanedar's campaign said as much as $30 billion would be needed for infrastructure, but did not respond to questions about how the money would be raised. Would split revenue from recreational marijuana use in half between infrastructure and education, should the pot proposal succeed in November. The ballot language, however, imposes a 10 percent excise tax on the sales price of marijuana, and dedicates 35 percent of tax revenue not spent on administrative functions or on required clinical trials to the Michigan Transportation Fund. His campaign did not say how it could redirect how pot revenue is to be spent. Would restore statutory revenue sharing levels to local governments to previous levels, and work to pay for high-speed rail between Detroit and Chicago and Detroit and Traverse City. Expand Interstate 94 to three lanes across the entire state, with help from Washington; double Michigan’s investment in self-driving vehicle research; and look for public-private partnerships to pay for roads and bridges while asking corporations to pay more for their upkeep. How he would pay for it: The bond would raise at least $1 billion. Thanedar did not place a specific dollar figure on how much his roads plan would generate, nor how it would meet the commission’s spending levels. His campaign said Thanedar also would look at mileage-based fees or fuel taxes for heavy commercial vehicles. And he’s proposed a graduated state income tax for businesses and wealthier residents. 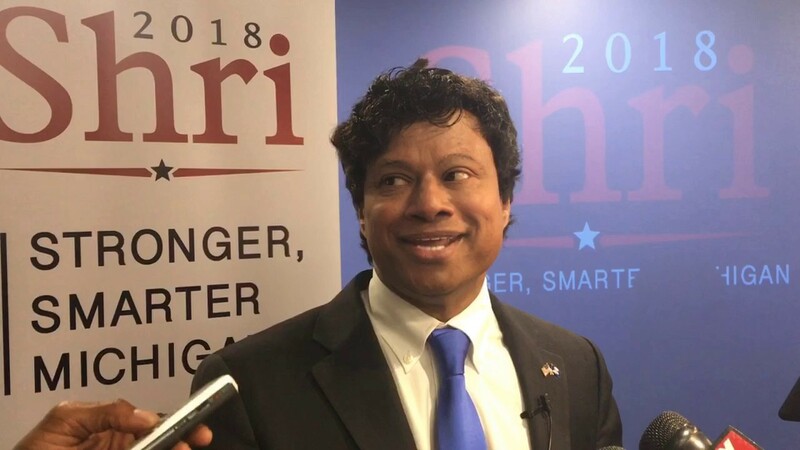 Read Shri Thanedar's plan to fix Michigan's road here. 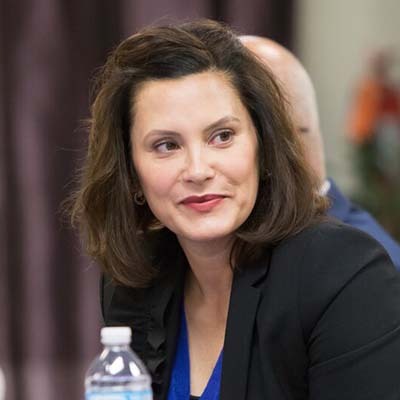 Whitmer, who served as Senate Minority Leader, is campaigning with the tagline: “Fix the Damn Roads.” Like El-Sayed, Whitmer pitches an infrastructure bank, known as the Rebuild Michigan Bank, to pay for roads, bridges, water systems and broadband internet. It would offer loans and grants for infrastructure funding and leverage existing money from local, state and federal governments. Low-interest loans could be used as a state match to federal funding, and the bank could act as a revolving loan fund for municipal projects. Would consult industry leaders to design a statewide infrastructure council to coordinate road projects with other needs, such as replacing drinking water lines or sewer systems, at the same time. How she would pay for it: Would invest $2 billion annually in state funds and $1 billion in federal funds into the bank for 10 years. The state money would primarily come from new user fees (possibly including gas taxes and registration fees). Those fees would leverage the federal money. Said she would work with the Legislature to enact user fees, and ask voters to pass a statewide bond if legislative action is unsuccessful. Read Gretchen Whitmer's plan to fix Michigan roads here. Gelineau, a title insurance agent and former chairman of the Libertarian Party of Michigan, has not published a specific road proposal, but shared some ideas with Bridge via email. 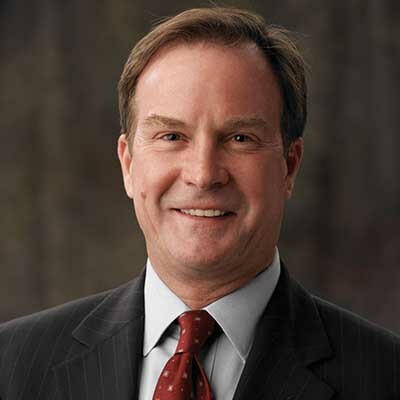 He has advocated for reducing the state’s government spending cap, eliminating most of the Michigan Strategic Fund and indicated that roads can be repaired if made a priority in the state budget. Would reduce costs for state prisons (such as by commuting marijuana convictions), state police and courts and use $750 million in savings to fix roads. Would direct revenue from legalization of recreational marijuana to roads, should a ballot proposal pass in November. Create some tolls on freeways and rework the formula that distributes state dollars to road projects in counties and cities. Says his plan would raise: At least $750 million, plus redirected revenue from pot and reducing the Michigan Strategic Fund. He does not address the full $2.6 billion funding gap cited by the infrastructure commission. Quote: “With focus on the proper priorities, we can repair our infrastructure, make needed repairs and make needed investments without blowing the budget wide open,” Gelineau wrote on his campaign website. 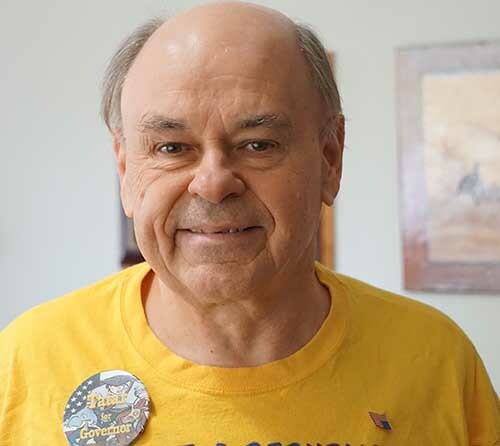 Tatar, a former U.S. Army Reserve lieutenant colonel and retired teacher, has not issued a specific road proposal, but said repairing roads is among his top issues. He does not specifically say how he would do that, given that he also wants to eliminate the state income tax and taxes on some retirement income. In a website video, Tatar said state government has money available to fix the roads, but has used it for other purposes. How he would pay for it: He does not say. Quote: “I will eliminate the state income tax. I will repair the roads without increasing taxes. I will eliminate the tax on retirees, roll back the new tax on gas, fix the auto insurance and bring clarity back to Lansing,” Tatar said in a video. Only the democratic candidates recognize that it requires revenue to pay for the common good, in this case roads. Republicans like to tinker with our shrinking revenue robbing Peter to pay Paul. Libertarians don't think we need roads. Three choices, pick one. VOTE! At least we've seen Gretchan's ads where she is driving in a car. I'm not sure that the physician who thinks potholes are cavities has ever seen a pothole. There are a few good ideas combining taxes, general fund, bonds and infrastructure banks. The republican candidates are going to make sure of two things: business continues to put nothing into this; nothing gets done. They have controlled things in this extreme gerrymandered state for so long and the roads really are the legacy of the GOP brand. so WHERE DID ALL the GASOLINE TAXES go????? ?